One of the most terrifying things about starting college is making new friends. Most new students overcome this by joining a club on campus. With over 1,000 registered student organizations at the University of Florida, you’re bound to find your niche. Get ready to get pitch-slapped because UF delivers some aca-amazing toners. UF’s a cappella craze started with a co-ed group called No Southern Accent that branched into two gender-based groups: The Sedoctaves (all-female) and The Staff (all-male). In the past four years, several other groups have appeared on campus, all vying to crush the competition. Auditions happen in the fall, leaving teams ample time to train for the International Championship for Collegiate A Cappella. 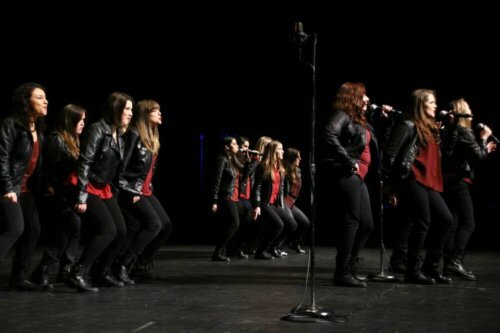 ICCA consists of several groups competing with 12 minutes of constant singing. “We pour all of our emotions into the set. We work on average around seven to 10 hours a week,” Cassidy Kinson, winner of Most Outstanding Arrangement in 2016 and former Music Director for The Sedoctaves, said. “A strict schedule motivates you to work towards a goal when you have a commitment towards the group.” During ICCA season, the group adds more hours to its schedule to prepare. But while ICCA is their yearly undertaking, The Sedoctaves’ ultimate mission is making beautiful music and telling a message with songs. The Culinary Arts Student Union knows the most important thing in a college student’s life is food—and we can never get enough of it. This group celebrates food in all forms. Students get together to discuss food nutrition and culture and add a cherry on top when they prepare and devour their creations. “Our mission is to a foster a connected food community at UF and teach members everything we know about food in regards to our pillars: exploration, knowledge, technique and health,” CASU president Caitlin Close said. 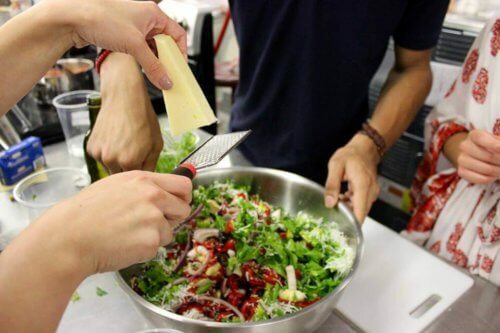 CASU hosts cooking workshops and nutrition culture classes in the Pilot Plant, a “hidden gem between the McCarty buildings and Marston.” CASU encourages anyone on campus to join—no experience necessary. Requirements include a love for food and willingness to learn. Creating Reality Elevating Art Through Expression is one of the many art clubs on campus, but what makes this one unique is its ability to teach and explore new outlets of art. CREATE allows students with any skill level to join and provides all the materials necessary for each week’s creative project. “CREATE’s members keep the club a reality, and make every meeting fun, interesting and unpredictable,” CREATE president Naomi Steel said. The group doesn’t only focus on art in the tangible and visual sense; music, dance and creative writing have been included also. While some events range from body sculpting to creating CD mosaics, one odd event turned out to be extremely successful. “We painted with coffee and tea,” Steel said. 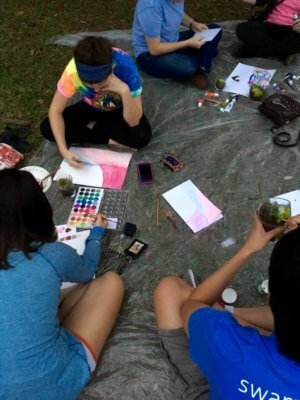 “We used different levels of water to create different shades, and used different types of tea for additional colors.” The group’s mission is simple: use art as an outlet to lower students’ stress and anxiety levels. If you enjoy a rush of adrenaline—and aren’t afraid of heights—we found your match. Falling Gators are UF’s premiere skydiving club. Providing a way for Gators to free fall and skydive for a low cost, Falling Gators hosts a Tandem Special in Palatka, FL every semester. “Skydive Palatka staff always tries to help the club. 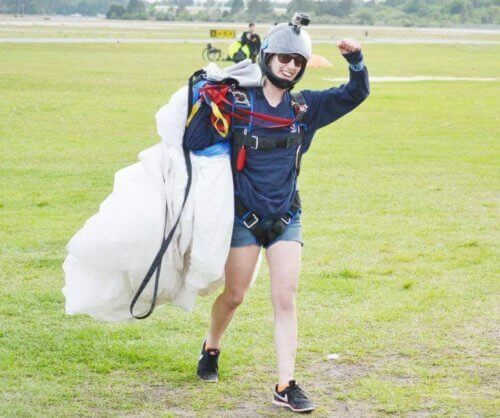 They make it possible for us to organize events at their drop zone in Gainesville,” Falling Gators president Bianca Artiaga said. Though the club is comprised of certified skydivers, they devote much time and energy to helping students gain their certification too. The process to get certified is a bit costly (with time and money) but once you’re done, each jump costs $24. “After you fall in love with the sport you will want to spend as much time as possible in the sky,” Artiaga said. The organization provides all of the necessary equipment to ensure their fellow Gators make it back safe and sound in time for football season. 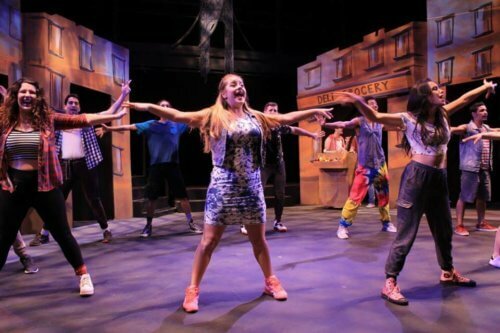 While a variety of theater groups like to perform on campus, Florida Players shines the brightest. The group produces, directs, designs and performs three shows per semester, and everything is student-run. Michael Ortiz, assistant artistic director of Florida Players, said three things make up the essence of the organization: professionalism, quality and the family dynamic. “Everyone can come together and bond over this passion for theatre; we can all work professionally while still maintaining relationships and put on very quality productions,” Ortiz said. For those who don’t like working on performances, Florida Players offers free tickets to see the shows in the Phillips Center Squitieri Studio Theatre or the Black Box theatre located conveniently on campus. Covered in 21 trees dedicated to the countries that sit on the International Latin American Association and home to the ever popular Hare Krishna vegetarian lunches, Plaza of the Americas is a favorite spot among students to eat, nap, study and just chill out. Alongside all of the life that it breeds, the Plaza welcomes one of the most relaxing group on campus: the Hammock Club, which boasts over 1,000 likes on Facebook. 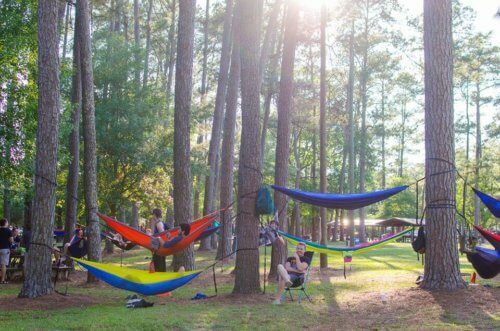 If buying a hammock seems out of your #PoorCollegeStudent budget, don’t worry. Hammock club has worked with Student Government to provide free rentals (with a valid Gator1) from student rec centers across campus. So if you walk by the plaza at any time of the day, you’ll most likely find at least one person relaxing in an ENO. Don’t forget to wake up to make it to class on time! As you walk through Turlington Plaza, you suddenly see a large group of people run past The Potato wearing orange bandanas and carrying Nerf blasters. No, they’re not catching Pokémon—it’s simply the Zombie Apocalypse. “Humans vs. Zombies is like a giant game of tag that takes place in the zombie apocalypse,” Treasurer Maddox Corcoran said. 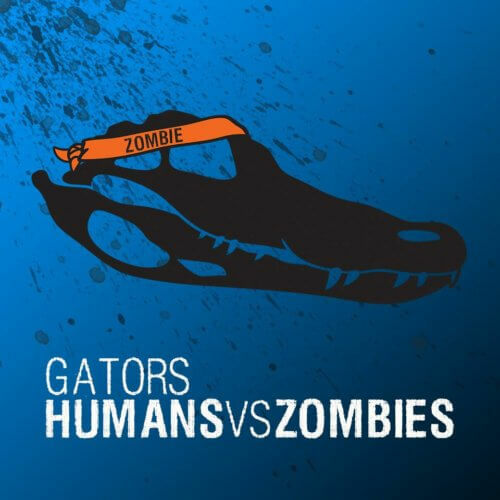 The game’s simple rules are as follows: zombies infect humans by tagging them, but humans protect themselves using Nerf guns and socks. As you enter deeper into the game, humans are given objectives to complete without becoming infected. Missions become more challenging with humans forced to prove they have what it takes to withstand the The Walking Dead-style apocalypse. Everyone laughs and talks like a family—but once the game begins, all former kindness is replaced by ruthlessness and the need to survive. If you like nature walks or desire to explore Gainesville, the TrailGators take you where you want to go. TrailGators started about a year ago when founder and UF student Jimmy Lee realized there was no club with the goal to simply enjoy nature and the outdoors. 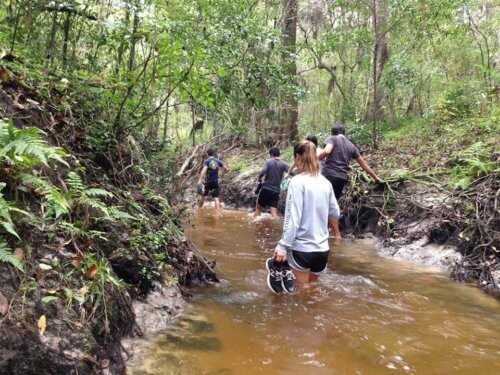 The TrailGators travel ‘round Gainesville to experience nature trails and parks and sometimes come back with surprising finds like shark teeth. Groups have explored places like Devil’s Den and a UF classic: Lake Wauburg. All UF students, no matter their levels of fitness, are welcome to join. Lee mentioned that consistency was difficult to achieve, but the end result is always worth it. “Every time I take a new person out on the trail, they’re always, ‘Oh wow, this place is really beautiful outside,’ and it’s something they never expected to see around Gainesville,” Lee said. You walk onto the pitch wearing your House colors with pride and the stands scream your name. You mount your broomstick and take off into the sky ready to compete in the high-stakes game of Quidditch. Yet, instead of souring into the clear blue sky, you run on the ground across the grassy field with a stick between your legs. 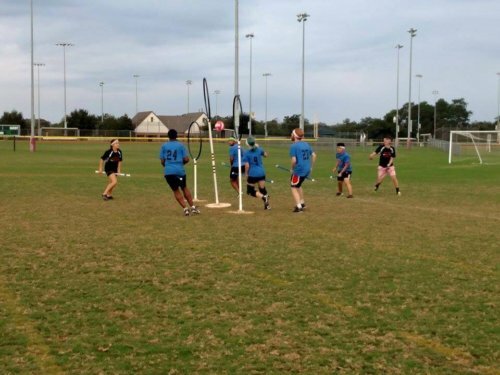 Muggle Quidditch combines elements of rugby, dodgeball and tag to create a live version of what was once only a magical (and physically impossible) game. In 2011, UF’s team won second place in the World Cup V after playing against 96 teams. They were the first team outside of the northeast region to ever reach the finals. The team continues to grow and host meetings twice a week to enhance the love of the game and remind everyone that impossible dreams can become a reality. 10 points for the Gators! For a complete list of UF student organizations, visit GatorConnect at ufl.collegiatelink.net/organizations.